The WordPress is currently one of the content management systems most widely used worldwide. It is not difficult to see where the success comes from. By ensuring fast and easy management of all website or blog content , this powerful tool makes the whole process of creating content simpler and more dynamic. Any person or company, no matter what level of knowledge you have of the Internet, can easily create your web page and start publishing. However, to take advantage of what this CMS has the best, there are certain free plugins that can make your WordPress system more efficient in various aspects. New tools, features specific to your business and even system improvements: all this can be achieved through several free plugins . In this post, we present a list of 15 free plugins that you can install in your WordPress account . Blogs are one of the favorite targets of spammers . Through the comment area, several companies or individuals try to divulge content that has nothing to do with the content of the post published. The Akismet plugin offers a quick solution to the problem. By installing this extension, all comments considered spam are properly identified and deleted automatically. Since it analyzes information from millions of websites and communities in real time, spam is easily identified. Check this my past flights blog on Dream World Travel which demonstrate the perfect example of this plugin usage. The iThemes Security gives you an arsenal of tools to ensure the defense and protection of your WordPress site. Since they are based on an open source system , WordPress blogs are often targeted by hackers who try to manipulate system failures. By day, it is estimated that more than 30 thousand websites undergo hacker attacks. The iThemes Security raises walls to any hacker who attempts to break into the blog. By plugging and fixing holes, stopping automatic attacks, and enhancing security on user credentials, iThemes safeguards the entire contents of your website and the information stored there. Free and easy to install, iThemes promises to be your soldier in the fight against hackers. “Give us 5 minutes and let’s potentiate your website”: this is the proposal of the CloudFlare plugin . Free and very simple to install, this extension protects your website by putting you in touch with a broad community of programmers spread all over the world. The CloudFlare automatically optimizes sending all your web pages, blocks threats posed by hackers and also limits the activity of bots and crawlers who spend the bandwidth unnecessarily. By installing the plugin, you can be sure that your website will work more efficiently. One of the best ways to get in touch with a blog administrator or website is through forms. 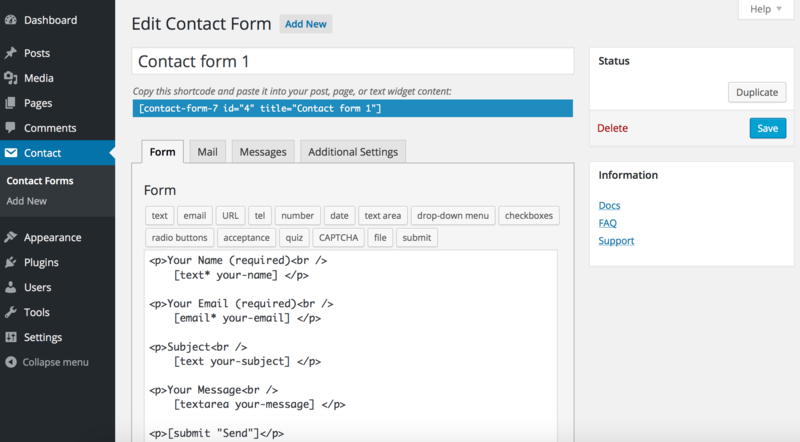 Recognizing this need, the free Contact Form 7 plugin allows the user of a WordPress page to place message forms for visitor use. This is an extension as simple to install as it is to use. The plugin is still compatible with Akismet and includes the CAPTCHA code option , so the user can prove that it is a person, not a machine. Also regarding the comments, we also talk about the free Disqus plugin . With this plugin, it is much easier to comment and manage the comments. Using an elegant and highly interactive design, you can create a small community within your website. There, each user can create a profile on Disqus , leave their comment, share the post directly on social networks, participate in a vote and still share images in comments. On the other hand, the administrator can decide whether comments should appear in chronological order or relevance, and how many comments should appear per page. One of the best ways to catch the attention of the public is to bet on dynamic content. Motion captures the look and makes it fun to visit the website. So why not invest in sliders? The Easy WordPress Parallax Slider plugin uses CSS3 and JQuery to create sliders in WordPress. Do not know what is CSS3 and JQuery? Do not worry: you do not need to master any kind of programming. Just go to the interface, decide what images should appear on the slider and easily assemble the presentation. 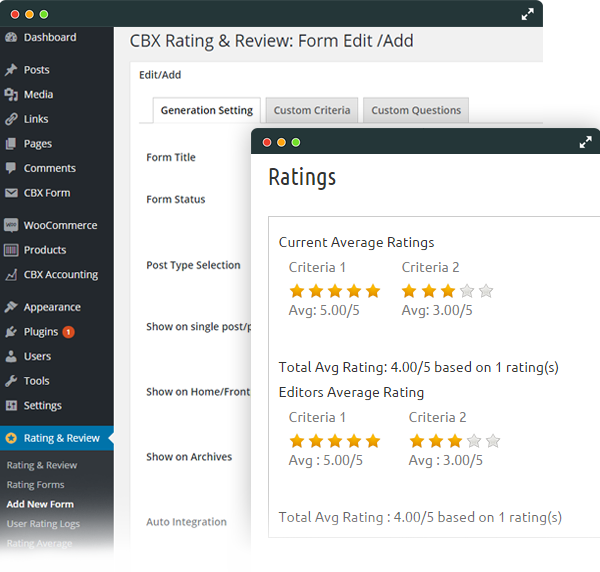 The Multi-criteria flexible rating system allows you to create and enter evaluation forms on your website. Imagine, for example, that you want to know the feedback of a particular article you wrote. What do your readers have to say about it? How many stars do you give to the quality of the article? Why did you like what you read? This is an extension that allows, in a few seconds, to create a evaluation form and insert it in WordPress. Ask the question, determine the answers, and make the answer open for the user to respond to something you have not listed. 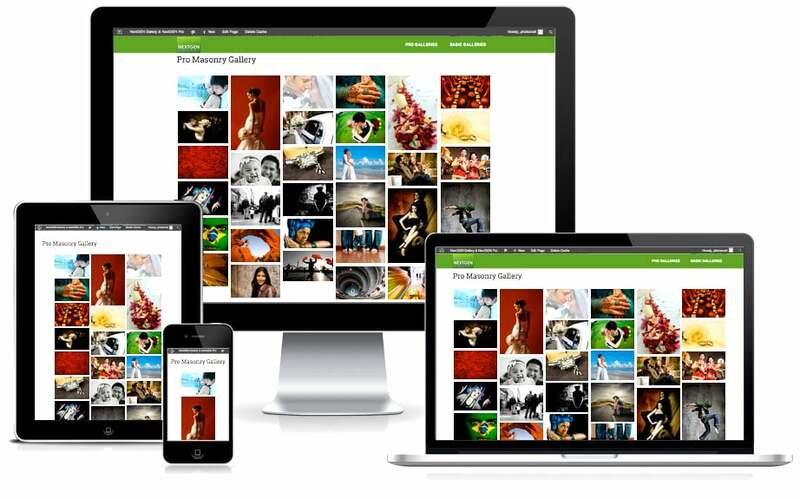 The NextGEN Gallery is the most popular among image gallery plugins. With more than 12 million downloads made worldwide, it provides the administrator of any WordPress website with an engine for uploading and managing image galleries. Add, delete, sort, group and edit images: it’s all very easy with NextGen Gallery . The plugin also includes different layouts for the galleries as well as a varied range of transition effects. If you use URL shorteners like tinyurl.com and bit.ly , you have identified two problems: first, that the domain in the link is not yours but the domain of the shortcut you are using; second, that the link is a random set of meaningless letters. To respond to this problem, the Pretty Link plugin is available . This system shortens your URL but returns you a clean and organized link related to the subject of the post. And, like other shortcuts, Pretty Link gives you detailed reports on the number of clicks that each link received. The Related Posts plugin brings new visits to your website and helps you achieve the leadership you so wanted. This free extension to WordPress gives you the opportunity to choose which related content should come up at the end of each post or make that selection for you. The articles related to appear at the bottom of the page come from other blogs that belong to the community that also uses the plugin . By giving away some of your space to sponsor other blogs, the same will happen with your content: they will be promoted by other blogs with subjects related to the ones usually covered in yours. The SEO Friendly Images plugin automatically updates all the images you insert into your WordPress blog. This is a powerful Search Engine Optimization (SEO) tool that facilitates the indexing of your website by search engines. The plugin fills in the ALT and TITLE parameters of your images with a suitable term according to the main keyword of the post. The ALT attribute, for those who are completely unaware of what it is, describes the image to Google and associated search engines. So when a user searches for a particular keyword and it matches that of your post, the image is more likely to appear. The W3 Total Cache plugin was designed to optimize blog performance by improving aspects such as page speed. We are not talking about a little improvement … you will quickly notice that the differences are gigantic! Used by numerous websites with international recognition, the plugin ensures that your website becomes 10 times better after configuring the entire plugin. Basically, the plugin saves the cached website so loading your pages does not take that long. Whoever said that WordPress did not allow the construction of an online store did not know what I was saying. Thanks to the installation of the free WooCommerce plugin , you can turn your blog into an online store and sell an unlimited amount of products. This extension comes equipped with a series of ready-to-use features, thus avoiding headaches at the time of sale. Get access to a variety of payment methods, marketing tools, shipping options, and detailed reports on your store’s performance. We have mentioned several times in our blog that SEO is playing an important role on the Internet. That’s why it’s important that you team your blog with a plugin that helps you run the best SEO tactics, thus making it easy to read the search engines associated. The WordPress plugin SEO by Yoast allows you to define all the parameters that Google values ​​in a blog: post title, description, meta-tags, main keyword, image parameters, among others. Just install this free plugin to start optimizing your blog posts quickly. The Widget Logic plugin gives each widget in your blog a new field called ‘Widget Logic’. Of course, is not it? Basically, the administrator then controls the pages where each widget appears. In the field, you can insert specific tags about WordPress or any other general PHP. One of the best article i have ever read, the article is very clearly explained with images and good content, thank you so much for sharing the article, looking forward to see few more articles from you.